Describe an egg and see if a partner can guess it. Which dragon do you think is the most dangerous? Why? Which dragon do you think will be the friendliest? Why? Which species could survive in cold temperatures? How do you know? 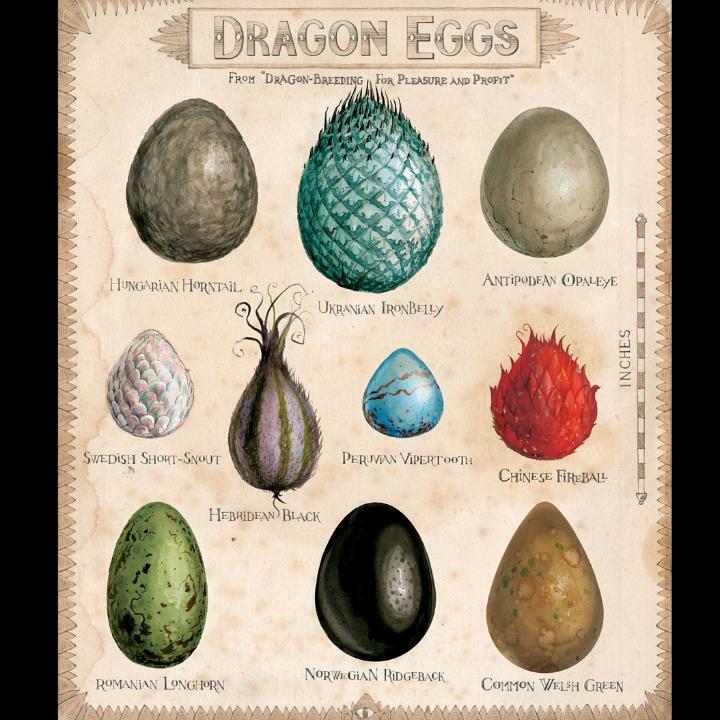 Which dragon egg would you like to find? What would you do if you came across a Norwegian Ridgeback egg? Can you plot the origins of these species on a map? Try drawing what you think each species will look like as a fully grown dragon; use details from the egg’s appearance and the species name to inform your choices. Create ‘Top Trumps’ cards for each species. Decide on the categories and give them ratings, then do battle!